If you have been diagnosed with depression, you may be wondering about depression life insurance eligibility. Getting approved for life insurance with a history of depression is possible if you have the right insurance agent and insurance company! In this article, we will offer some background on life insurance underwriting and eligibility with depression. We are experts in getting people with a history of depression get approved for affordable life insurance rates. Depression is a common illness that negatively affects how someone thinks, feels, and acts; the symptoms of depression are different for many people. Depression can cause a wide range of feelings, ranging from sadness and loss of interest in activities you once enjoyed to suicidal thoughts. Depression (major depressive disorder) can be a severe medical illness if not treated properly. For depression diagnosis to occur, a patient must have symptoms lasting for at least two weeks. Other medical conditions may have side effects that mimic those of depression. Thyroid disorders, brain tumors, vitamin deficiencies etc. may mimic symptoms of depression. Your physician is best-suited to diagnose your feelings of depression and the physical causes. One in 15 adults (6.7%) will be affected by depression in any year. One in six adults (16.6%) will be affected by depression at some time in their life. Depression can occur at any time, but the first symptoms of depression are likely to occur in the late teens to mid-20 years of age. Women are more likely to be diagnosed with depression than men. Some studies indicate nearly 1/3 of all women will experience depression in their lifetime. Depression isn’t sadness, grief, or bereavement over the loss of a loved one. Being sad differs from being depressed. The grieving process after losing a loved one is natural, and everyone will experience different feelings. Some feelings are the same as those experienced by people diagnosed with depression. Both grief and depression may also cause people to suffer intense sadness and withdraw from usual activities they enjoyed. Despite grief and depression having overlapping symptoms, they are different. Correctly diagnosing grief and depression is a major step forward in helping people get the help, support, and treatment they need to recover. Depression can occur in anyone…even people in ideal financial and relationship circumstances. Biochemistry – different people produce different chemicals in the brain that may cause feelings of depression. Genetics – depression can be hereditary and run in families. If one identical twin has depression, the other identical twin has a 70% chance of being diagnosed with depression in their lifetime. Personality – someone with low self-esteem, who is easily overwhelmed by stress or is overly pessimistic, is more likely to be diagnosed with depression at some point in their life. Environmental factors – repeated exposure to neglect, abuse, violence, or poverty results in some people being more susceptible to depression than others. Yes. Depression is one of the most treatable mental disorders. Between 80 and 90% of people respond well to treatments for depression. Medications and psychotherapy are two of the most common treatments for depression. If you have severe depression, your doctor may recommend other treatments. So, can I qualify for depression life insurance? Yes, but let’s clarify something – there is no specific policy for depression life insurance. Depression is just one of the many factors that a life insurance company will consider before issuing a life insurance policy.Most people who suffer from depression controlled with medication or other therapy will qualify for great rates through the different life insurance companies. For people with severe forms of depression, who are on multiple medications and have had thoughts of suicide, obtaining a depression life insurance policy may still be possible. As a consumer, this is difficult to do. 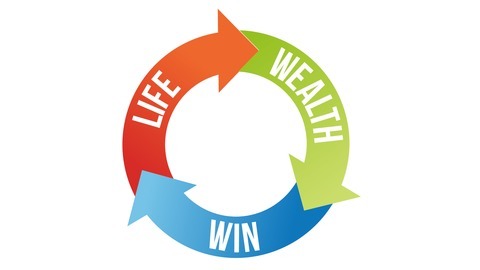 That’s why people use Life Wealth Win to do the shopping for them. It is important to approach only life insurance companies that view your depression and other health conditions most favorably. We work with 40+ life insurance companies, and not all of them will view your depression favorably. Some, however, view depression and depression treatment regimens more favorably, leading to lower life insurance premiums. I’ve had depression, but I am no longer on medications or under treatment…do I still qualify? The life insurance companies will still want to know more about your history of depression. Depression and other health issues are “pre-existing conditions” that the insurance company will want to understand better. This does not mean you will not qualify for life insurance, or that you must pay more for life insurance. It is simply part of the process that we will help you with to get qualified for life insurance. What will the insurance company want to know about my depression? Do you have mild, moderate, or severe depression? These questions will help determine your eligibility for life insurance with depression. When should I buy life insurance for depression? The best time to purchase life insurance is before you need it. The best time to purchase life insurance is before you become diagnosed with an illness. The best time to purchase life insurance is when you are younger, rather than older. What type of life insurance should I purchase? If you want life insurance with depression to cover you only during their working years, a term policy would be an ideal choice. If you want life insurance coverage to protect you for your entire life, a permanent insurance policy such as a whole life or universal life insurance policy would be appropriate. Term life insurance is like auto insurance. You pay a monthly premium, and when you die the life insurance company will pay your family a death benefit. If you stop paying your life insurance premium, life insurance coverage ends. At the end of the term for your life insurance (often 15, 20, or 30 years) you will not get your money back (unless you select a “return of premium” plan). What are my life insurance payment options? If you have been diagnosed with depression, call us to help you understand your depression life insurance approval options. 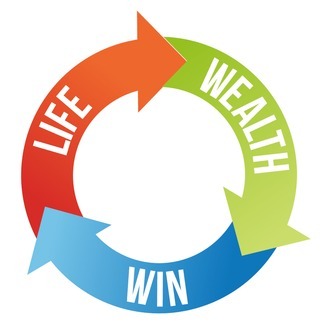 At Life Wealth Win, we specialize in healthy to high-risk life insurance cases. We work with clients across the nation and will help you understand your depression life insurance options. If you are diagnosed with depression, we can help you get the best life insurance rates. The post Depression Life Insurance appeared first on Life-Wealth-Win.